delightful and enjoyable learning experience. 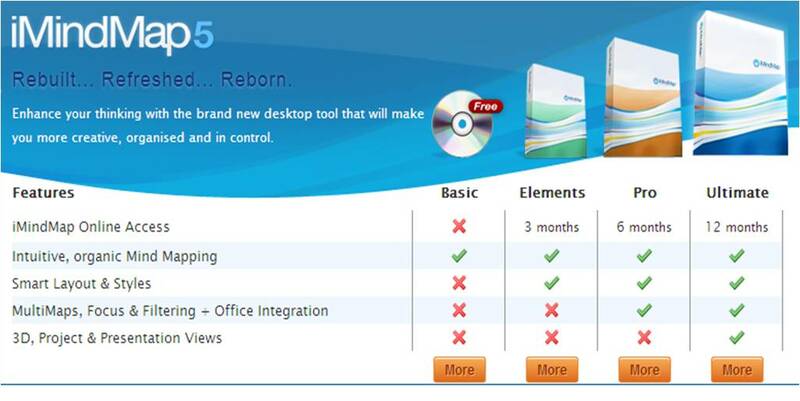 World’s only official MindMapping® software. iMindMap™ is the first and only official Tony Buzan MindMapping® software. It is the only software product that fully duplicates Tony Buzan’s renown MindMapping® techniques. iMindMap™, unlike many other products that draw the MindMap® for you, allows you to create completely organic freestyle looking MindMaps. Research in neuroscience tells us that a MindMap® that is created by you is far more powerful than one created for you. The techniques utilised in iMindMap™ are the same as those use by over 250million people worldwide to increase their brain power. Make no mistake, Tony Buzan’s techniques have achieved world wide acclaim for their effectiveness. iMindMap™ is the only software product that gives you the infinite visual variety, portability, freedom, brain friendliness and effectiveness of traditional highly proven Mind Mapping® techniques. A picture paints a thousand words. iMindMap™ comes complete with online access to 1million of the best quality animations, 3D images, photos and clipart available. All of these are ‘MindMap® friendly’ and include transparent backgrounds. SpeedMapping Mode SpeedMapping Mode is an excellent alternative to standard Mind Mapping mode for occasions when you need capture information quickly in a short space of time, for example, when brainstorming ideas, for note-taking in meetings and the classroom or for recording phone conversations. You can rapidly create a structured Mind Map using just your keyboard!